Are you seeking a career that challenges you and brings new problems to solve every day? Do you want to work on more complex and interesting equipment? Are you looking to join a team-oriented company that cares about its employees and clients? If you answered yes to these questions, you’re likely a great fit for the commercial HVAC field – even if you’re currently in the residential HVAC industry! We are actively looking for residential HVAC technicians with 3-5 years of experience who are seeking more challenging equipment to work on. If this describes you, take a look at Reitmeier as your next big opportunity! We are rapidly growing and adding several HVAC field technician positions to our company. Are you NATE-certified? We want to talk to you! If you’re a residential tech who is NATE certified, we’re especially excited to hear from you! This certification shows that you’re a self-starter, and your previous training and education will give you a quicker ramp-up time. Be sure to mention your NATE-certification status in your application or in conversation with one of our team members. 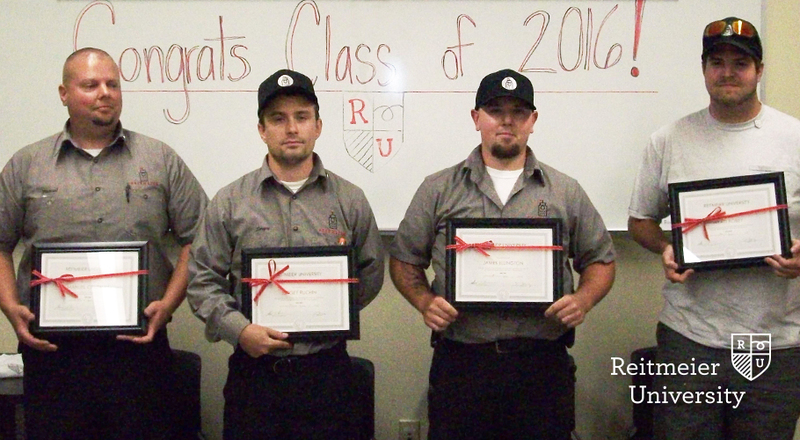 At Reitmeier, we have a supportive training environment that’s designed to quickly bring you up to speed. We don’t expect you to be an expert in commercial HVAC immediately – we know it takes time to learn about new equipment and our culture. That’s why we’ve developed a careful process to help you learn the commercial HVAC trade and to help you create a custom career path that best suits your personality and interests. 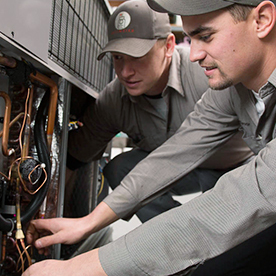 Part of this investment includes our program that pairs you with an experienced mentor who will assist you in learning real-world commercial HVAC issues – and even have you ride along on jobs! This senior-level tech will also provide both on-site and phone support when you need it. 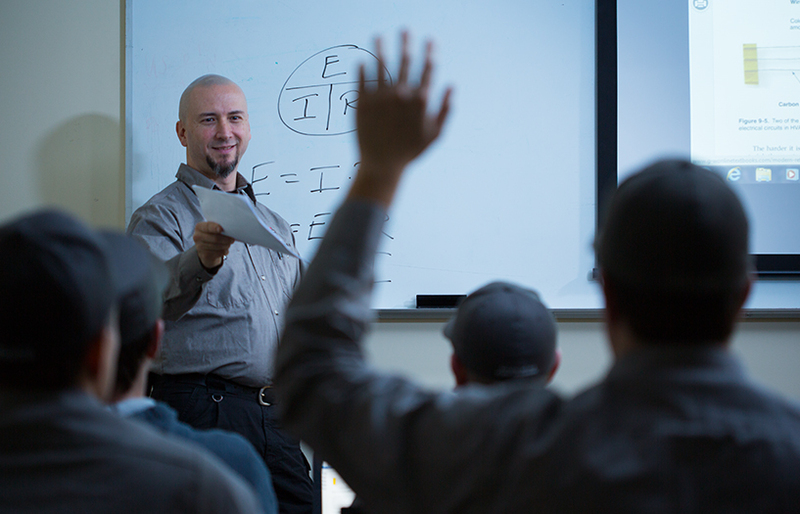 In 2014, we launched our own innovative continuing education program, Reitmeier University (RU). Our curriculum is designed to teach our employees about commercial HVAC while also orienting team members to our culture. RU will train you on specific issues involving commercial equipment servicing, troubleshooting, and safety. 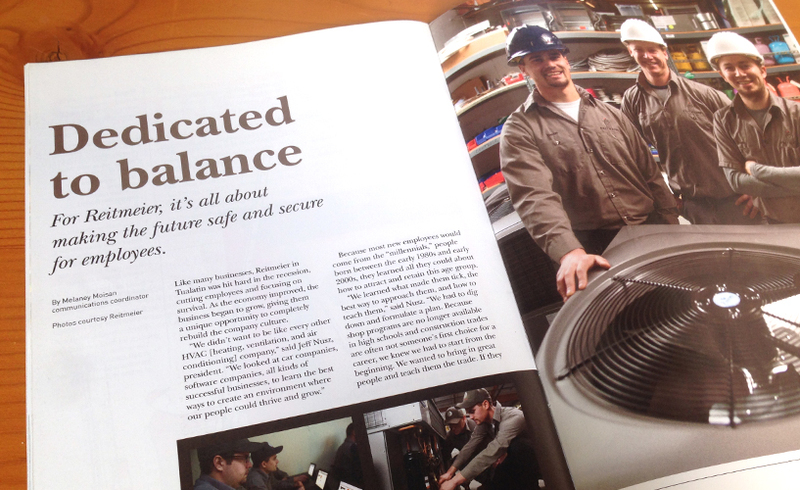 Did you know that the commercial HVAC industry requires certain licenses to work in the field? The good news is Reitmeier provides all the resources you need to earn these accreditations. We’re proud to have an educational director on staff who will give you the support you need to pass any licensing test or certification. If you’re currently working outside of Oregon, we want to make your transition to Reitmeier as easy as possible for you and your family. In most cases, we provide financial assistance for those moving from out-of-state. We invite you to ask for more details during our conversation! Our people are our most valuable asset – as a Reitmeier employee, we’ll show you the appreciation you deserve. Reitmeier team members take our core values to heart. One of these tenets is to Build Sustainable Relationships – we strive for an environment that is friendly and warm, and we continuously go above and beyond for others both inside and outside the company. We make sure that our company culture builds and fosters a workplace where our employees can feel fulfilled. Reitmeier was recognized as the Best Contractor to Work For by Air Conditioning, Heating, and Refrigeration (ACHR) News in 2014. In addition, SAIF Corporation recognized our company’s commitment to a healthy work-life balance for our staff in their summer magazine. In all we do at Reitmeier, we strive to live out our mission of Balance. This also involves providing our employees a positive work environment and some of the best benefits in our industry. Commercial HVAC typically pays higher than residential. Plus, in the commercial sphere, you can say goodbye to on-call visits at 3AM and 80+ -hour work weeks. You won’t be held responsible for high-pressure sales or tracking company margins – our fantastic office staff takes care of all invoicing. Since our office is only 10 miles south of Downtown Portland in Tualatin, Oregon, you could work just a short distance away from adventure! Portland is nestled at the junction of the Willamette and Columbia River, midway between the Oregon Coast and Cascade Mountains. Read more on our Career Center about Living and Working Near Portland! We understand that you may be already working under another employer, and we know the importance of discretion and confidentiality. Please know that we will reach out to you and only you if you think you think you would be a good fit. We’re happy to call or meet with you in-person for an informational interview at any time during the application process – we’re actively looking for talent, and will do our best to meet with you at a time that’s best for your schedule (including evenings and weekends). Please visit our Career Center to learn more and to see our open positions. We can’t wait to hear from you!